Barter Books : Dannatt, Richard [intro.] 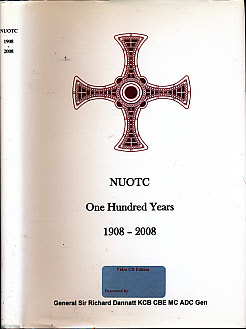 : NUOTC [Northumbrian Universities Officer Training Contingent]. One Hundred Years. 1908 - 2008. 260 x 190 mm (10 x 7 inches) - 207pp. VG: in very good condition with dust jacket. NB Accompanying disc is scratched and may not play.